Cell phones are all but unavoidable in the United States these days. People use their cell phones while walking down the street, in stores, and while driving. Talking on the phone while driving is the subject of much debate. Many safety experts insist that drivers using cell phones invite accidents. Others insist that talking on the phone while driving is no more dangerous than playing with the radio or talking to a passenger in the back of the car. Nevertheless, many states, including California, have strict laws regarding the use of cell phones by motor vehicle drivers. 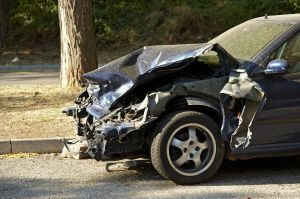 Still, as our San Francisco car accident attorney has experienced, the use of cell phones can be an integral part of a legal battle after a San Francisco car accident. An accident that occurred in Concord last night may an example of that conflict. As the San Francisco Chronicle reported this morning, one driver was killed last night when a driver using a cell phone crashed into his car. The events began around 6pm Tuesday night when the Concord police saw a man in a white pickup truck conversing on a cell phone without a required hands-free device. The officer attempted to pull the driver over, but instead of stopping, the truck driver led the police officer on a chase. The chase ended when the truck hit a BMW on Solana Way, near Highway 242. The driver of the BMW died as a result of the collision. Police chased the pickup truck driver on foot and apprehended him. Officials have not released the name of either man. Scenarios like this are ripe for lawsuits, because much neglect and reckless was involved. Not only was the driver of the pickup truck violating the law when used his phone without a hands-free device, but he likely violated several traffic laws during the police chase. While any criminal charges would have be filed by the Contra Costa County’s district attorney’s office, surviving family members can file a civil suit against the truck driver. One frequently used legal tool in cases like this is wrongful death action. A wrongful death claim allows surviving family members to collect damages, or money, to compensate them for the death. For example, the family can try to recover financial support to make up for the salary the deceased would have earned. A successful suit can also cover funeral expenses and the value of household services the late family member would have performed. In some instances, family members can also recover for noneconomic damages, such as loss of companionship. When family members face the death of a loved one, contacting a lawyer is typically not high on their list of priorities. But finding legal representation sooner rather than later can be important since wrongful death actions have a statute of limitations. With some exceptions, a suit must be filed before the second anniversary of the person’s death. At the Brod Law Firm, our San Francisco personal injury attorneys have years of experience helped bereaved families. If some you loved was injured in because of the carelessness of another, please contact our San Francisco accident lawyer. We can examine the situation and advise you on the best course of action.